Hey peeps! If you’ve been following me for awhile you will know that I love travelling (here, here and here). As much as I love discovering new places, I also like exploring closer to home. If you haven’t been before or visiting London soon, here are my two must see places in London. 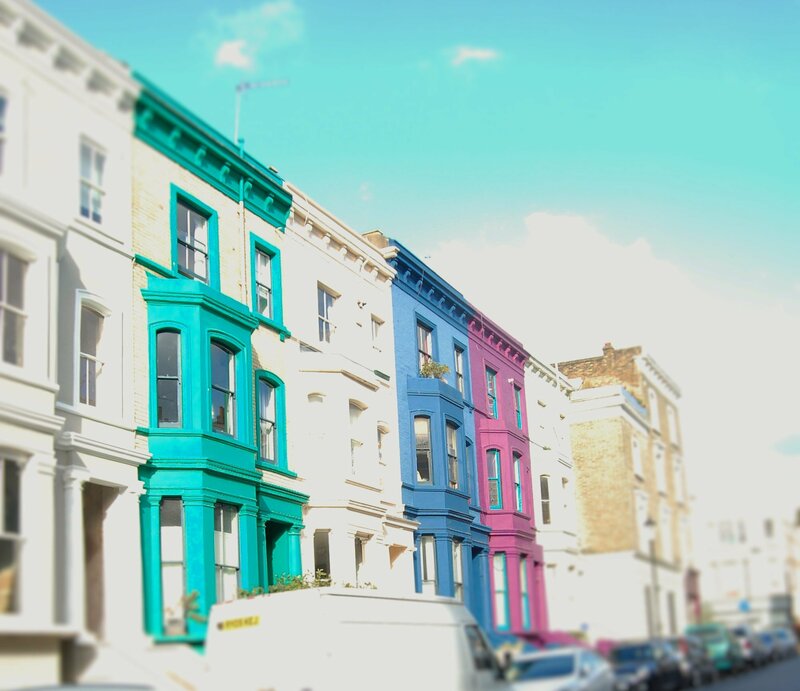 Located in North West London, Camden is one of those areas that needs to be seen and experienced. I hadn’t been to Camden for ages until recently and I was reminded why I love this place! It is a mixture of punk, rock, soul and everything else in between. A vibe that’s unique to this area and has a style all on it’s own. You could practically find anything and everything in Camden and let’s not forget the food. There’s a smorgasbord of food on sale that will have your mouth watering none stop. Best thing is that you could pretty much have your bellies filled for under a tenner! So for anyone who has seen the movie Nottinghill with Hugh Grant and Julia Roberts, you will be familiar with this place. Therefore you fully understand why it had to be one of the two must see places in London. Apart from the houses that line the streets looking like colourful sweets in a box, there’s also unique shopping to be had. Stalls are dotted along Portobello Road in front of boutiques and chains. Everyone trying to make that sale! Don’t forget to stop in at All Saints to see the beautiful collection of sewing machines, even if you’re not into sewing! If antique and vintage shopping is more your thing then best believe you’re in the right place. I stumbled across a place that sold antique cameras and they were just beautiful! If you can pull yourself away from the antique section and continue along, you will find the antipasti stall and fill your belly with olives and sundried tomatoes. If you’re lucky you just might catch the pastry vendor selling all his pastries for £1 a piece! Not bad for spending a day on one street. Both these places have different vibes and so worthwhile in visiting. Plus everyone knows that market shopping is the best and this is why they’re my two must see places in London. Let me know what your two must see places in London are. Or wherever in the world you are! Share in the comments below. As always, thank you for reading and don’t forget to subscribe! I’m also on Bloglovin so you can follow me there too!